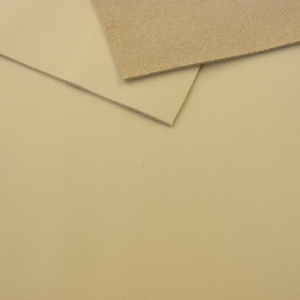 This is a 30x60cm rectangle of smooth textured beige leather with an even surface and hair cells just visible. It's a medium weight leather at 1.6mm thick. This is a through dyed leather so the core and reverse are the same colour as the surface.